Publication: April 1st 2013 by Bayou Brew Publishing. Fifteen years ago Jared Bonatelli had it all. The youngest son of one of the founding families in the Conservatorship of The Dark Order he lived a life you only thought existed in novels and nightmares. He had just graduated from Oxford University and became engaged to his childhood sweetheart when he lost it all in one violent act. The very next day he found himself shipped off to New Orleans with only the money in his pocket and whatever he could fit in one suitcase. Since that night he has suffered reliving his fiancé’s murder repeatedly in his dreams. It isn't until he finds himself summoned back to New York for an emergency meeting of the Conservatorship that the comfortable world he lives in begins to crumble around him. Alexandra Toscano has been searching for the one assignment that could catapult her journalistic career. When her editor Gene O’Hanlon drops a manila folder in her lap, Alex is immediately skeptical. At first glance the information he hands her seems like a publicity piece that is till she comes across an article he wrote some fifteen years ago about Vampires murdering a young woman in Central Park. She is ready to laugh it off as a work of fiction until he points out he was an eyewitness to the whole thing. But that wasn’t all. The girl’s boyfriend was a member of a prominent Italian family who vanished the very next day. Now as Alex begins to dig deeper into Jared’s life she begins to question her own past. Could the answer she seeks be found in the glowing eyes of the one person she is sworn to expose? 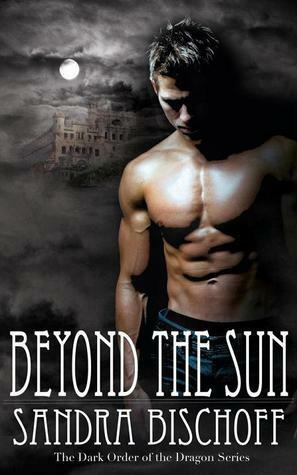 Or will they both find themselves torn apart by a world Beyond the Sun? My first impressions while reading this book- I thought it was like a soap opera. Nothing is as you think. That’s all I am saying on that. My favorite parts- Lance! He is the side kick. I love his antics and humor. I so could see him in action. He is a werewolf and I couldn’t get enough of him. About evil- Absinthe, the daughter of the King of the Dark Order (Vampires) is pure evil. The description of her in the book had me seeing her with a seductive way with her fingernails on anyone’s skin she despised as she toyed with them. It gave me the chills. She gets around and around and around. She’s a ho! She has people as pets that do her bidding. There were others you thought you trusted, but oh my gosh, as it turns out, you can’t trust anyone. The story- Sorry, I just had to get the other stuff off my chest first. This story has romance, lots of action, twists and turns you don’t see coming, and tender moments that you wouldn’t have guessed would happen. And once again, it leaves lots of unresolved stuff that we would just have to wait to get the next book to read. I hope there is a story about Lance (giggle)! This story is mainly about Jared and Alex. Both supposedly human, but some things don’t add up about them. Hmmm... Anyway, Alex is a reporter and meets Jared at a gala at the Museum of Natural History for a story she is forced to do. She meets him by fainting in his arms. SO embarrassing! Anyway, he takes her in a room partitioned off, so she could recover and in that room is a huge dragon. She knows it is real and not some model but she won’t admit to it. Then, she just keeps getting deeper and deeper into the supernatural world. They both find a connection to each other but don’t understand it. Let the romance begin. Things of course, don’t go as smoothly as it should be considering she is talking about a supernatural world all around her, that’s a lot for anyone to take in. But Abs has other plans. She wants everything and is evil incarnate. She will stop at nothing to get the throne and whatever play thing she wants as well as kill whomever she wants too. The plot gets thicker and thicker with the passing of the pages. What I didn't like- I wish we could see the romance develop a little more slowly. It felt a little rushed for me. I didn’t really understand the secret society. I wish I could have learned more about that. And I didn’t like Abs. But I am not supposed to like her! Maybe you like evil witches with a B, not me. Questions – Does Alex write a story and expose the supernatural world? What will Abs do next? There is another turn at the very end that I didn’t see coming and I am dying to know more about it! Final thoughts- I feel like I can’t say much about what happens because there are so many twists and turns. I like that in a book, especially when you don’t see it coming. If you like humor, twists and turns, vamps, werewolves and dragons, bickering families, romance and a little bit or sorrow you will like this book.